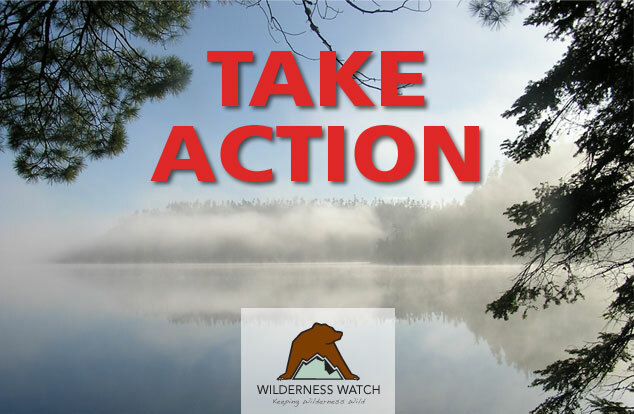 Tell the Trump Administration to Not Renew Mineral Leases Next to the Boundary Waters Wilderness! The Trump Administration has issued a faulty environmental assessment (EA) to justify its illegal decision to renew two expired federal mineral leases formerly owned by Twin Metals at the doorstep of the Boundary Waters Canoe Area Wilderness in northeastern Minnesota. Please take action by next Tuesday, January 22. The Boundary Waters is America's most visited Wilderness. The 1.1 million-acre lakeland Wilderness has over 1,000 lakes and 1,200 miles of rivers and streams containing clean, drinkable water. It offers unmatched fishing, hunting, and recreational opportunities. The Superior National Forest and Voyageurs National Park are also priceless to the American people. Pollution from this proposed mine will inevitably drain into and damage the fabled Boundary Waters Canoe Area Wilderness, other parts of Superior National Forest, and Voyageurs National Park. Please urge the Trump Administration's Bureau of Land Management (BLM) to not renew the two federal mineral leases: https://eplanning.blm.gov/epl-front-office/eplanning/comments/commentSubmission.do?commentPeriodId=74028. Comments are due next Tuesday, January 22. I strongly oppose renewal of two federal mineral leases formerly owned by Twin Metals at the doorstep of the Boundary Waters Canoe Area Wilderness (BWCAW) in the Superior National Forest in northeastern Minnesota. The Boundary Waters Canoe Area Wilderness is America's most visited Wilderness. The Wilderness, a 1.1 million-acre lakeland wilderness area, has over 1,000 lakes and 1,200 miles of rivers and streams containing clean, drinkable water. It offers unmatched fishing, hunting, and recreational opportunities for all Americans to enjoy. —Not renew the federal mineral leases. —Provide an extension on the comment period of 62 days to Monday, March 25th. —Provide public meetings in Duluth, Minneapolis-St. Paul, and Washington, DC. —Prepare a full Environmental Impact Statement to analyze and assess the full range of potential negative impacts if federal mineral leases were renewed. Help us protect the Boundary Waters and Wilderness around the country. All first-time donations matched by a generous WW member!